In an effort to continue assisting and developing the civil society and the Egyptian NGOs, PDF held orientation sessions for the NGOs award of excellence with the attendance of 100 representatives from 60 NGOs from different Egyptian governorates. The sessions addressed detailed information about the Award, the needed documents and the prizes for the winning NGOs, in addition to answering all the NGOs’ queries. PDF held 8 orientation sessions on 2 days; 22nd and 23rd of May 2016. On the first day, representatives of the NGOs in Cairo, Giza, Beheira and Alexandria attended the sessions, while the second day was dedicated for the NGOs in Upper Egypt and the representatives of the NGOs in Menya, Aswan, Luxor, Sohag, Qena, Asuit, and Bani Sweif were the attendees of that session. The NGOs’ representatives praised the sessions as they found them to be very beneficial and helped them understand the Award’s terms and conditions and know more about the projects presented by PDF , in addition to being introduced to the other NGOs working in different fields to improve and develop the civil society. Under the auspices of the Ministry of Social Solidarity, Professional Development Foundation launched the "NGOs Award of Excellence". The Award aims at encouraging Egyptian NGOs in managing successful projects which will help them in maintaining the sustainability of their organizations and supporting their internal capacity to aid them in reaching their goals and develop their communities. For more information about the award and its procedures, kindly visit www.pdf-eg.org/award or call 19143. PDF has recently signed an agreement with UK’s TVET with aims to promote academic cooperation and cultural activities. A key part of this partnership is to help deliver world class skills training . TVET is UK’s only organisation dedicated to exporting the capabilities of the technical and vocational sector. Hosting leading academic providers, TVET retains a wealth of experience in delivering a diverse range of international projects. Through this cooperation and in line with PDF’s aim for developing human capabilities, the initiative involves creating new horizons for vocational trainings catered to our youth in Egypt. Apprenticeships, accreditation and courses will be on offer in the areas of leadership and management and career professional development. 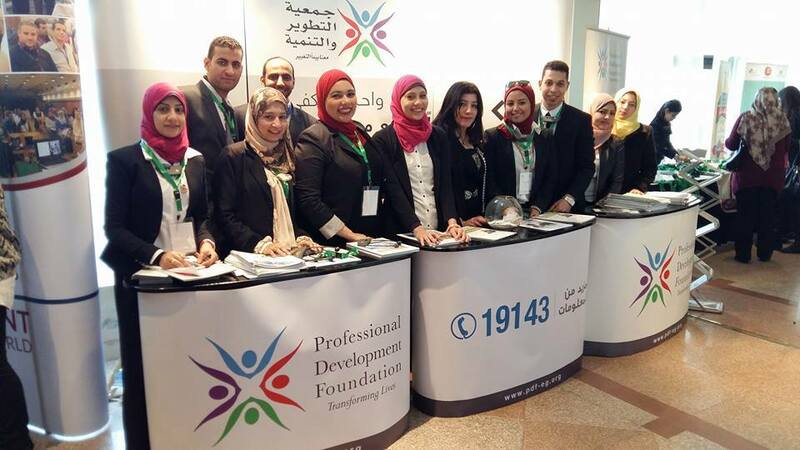 Out of its belief in the importance of developing the human capital the Professional Development Foundation (PDF) sponsored “Alexa’s” 7th Annual Employment Fair. The fair was held in Alexandria on Sunday & Monday 21, 22 February 2016 . The fair witnessed the participation of more than 25,000 fresh university graduates and job seekers. It also witnessed the participation of 60 reputable local and multinational companies representing diversified sectors in the market such as: Banking and Financial services, Information Technology, Logistics, Food industry, Automotive, and insurance…Moreover the Fair witnessed the participation of new sectors such as the Development Sector, NGOs and leading recruitment companies. The Fair was an opportunity for fresh Graduates to explore the labor market needs and the new programs and courses in the training market. 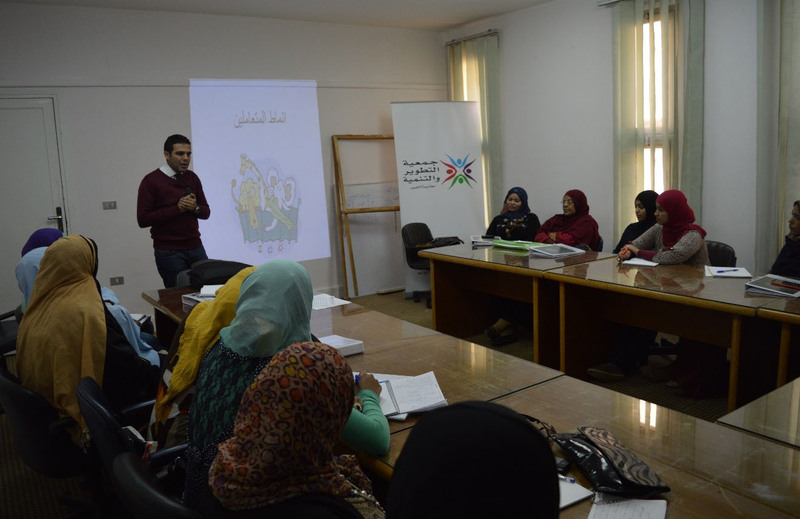 In collaboration with the Rotary Clubs Union in Egypt, the Civil Society Support center concluded the training phase of the NGO Capacity Building program during February 2016 in Aswan, this round served 15 NGOs with total of 57 trainees representing various management levels within the organizations. Following the completion of the training phase, the implementation phase begins where each NGOs starts the on-ground application exercises. This round received an excellent satisfaction grade from the participating NGOs with overall percentage of 91%. 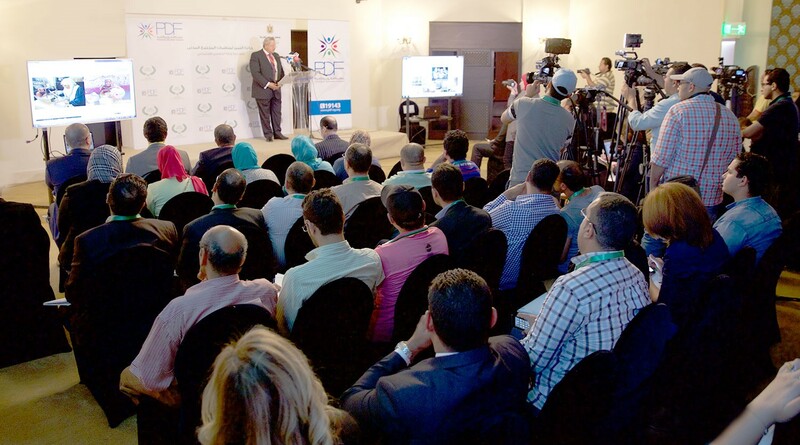 Attended by more than 1190 representatives of the Egyptian and international companies, who have achieved success in the field of sustainable development, who have an active role in the work of social responsibility , in addition to a number of academics and civil society organizations. PDF booth witnessed large trafic audience who showed a keen interest in PDF activities especially the CSR Magazine "Mn Enaharda"